Ever since two astronomers discovered a potentially bright comet called ISON a year ago, excitement has built over the possibility of this comet being incredibly bright. Maybe historic. Maybe the brightest comet anyone now alive has ever seen. 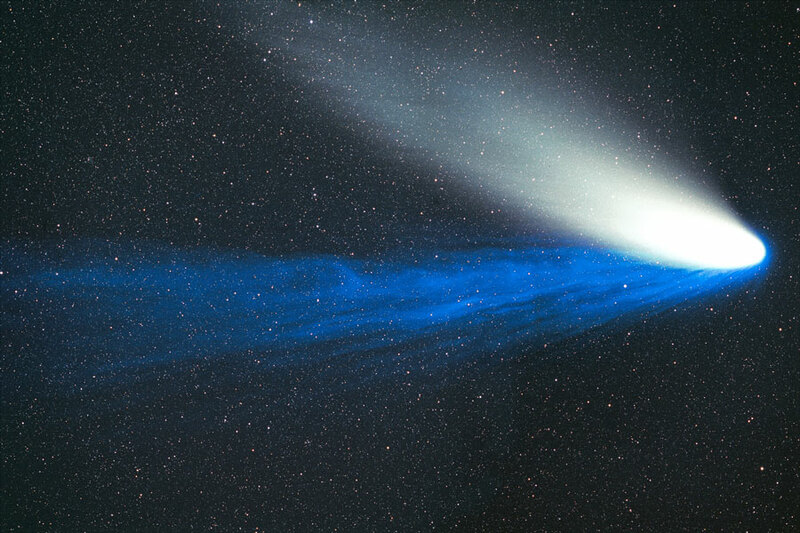 Maybe the brightest comet ever to appear in Earth’s skies. Well, in truth, the ephemeris, the calculations of the comet’s orbit and predictions of its behavior, were revised several times. And the predicted brightness of the comet worked its way downward. Not a huge amount, but a little. Enough to start making people nervous. And then this summer the comet slid too close to the Sun to be observed. When it emerged in August, ISON’s brightness was somewhat dimmer than expected. Then came a second round of prognostications, this time not from the starry eyed hopefuls, but from the naysayers. “Comet ISON is a bust,” they proclaimed. “The comet has fizzled.” This, they stated, while the comet was still nearly two and a half times farther from the Sun than Earth. Some have even stated they are certain the comet will break apart. Huh? Small, rubble pile comets typically break apart very close to the Sun, much closer than ISON will pass. And how could they know about he comet’s nuclear density? They don’t. It’s all weak speculation. Wait a second, here, people. Comets need to enter the inner solar system and approach the Sun pretty closely to become really bright, so how can you say it’s already fizzled? The nattering naybobs of negativism were suddenly as loud as the starry eyed hopefuls filled with blind faith. Well, the truth about Comet ISON, like most things, is a story of grays — not black and white extremes. NASA scientists reported that it is encouraging the comet has brightened to 13th magnitude and that it is too early — way too early — to predict its ultimate brightness. “But we can at least dispel the false rumors of its demise,” they penned. They noted that while some astronomers are reporting the comet is underperforming and others believe it is right on track, it is simply too early to make that call. Comet ISON does promise to be a bright comet. It is likely to peak, at perihelion on November 28, somewhere around magnitude –4.5, about the brightness of Venus, and be a naked-eye comet from mid-November through year’s end. That’s not too shabby of a performance. Before you jump onto the great proclamations of unbelievable brightness or the wet blankets who rain on the parade before they could possibly know the outcome, remember that we’re now living in a blog world. Those who feel like a big headline has to come every day often jump the gun on conclusions and corrupt good sense, and they’ve done it again with this comet. Leave the comet alone. It’s still twice as far from the Sun than we are, still on its way in, and it’s gonna be at least pretty darn bright — certainly a naked-eye object for several weeks. Note to the drama queens: Isn’t that enough?